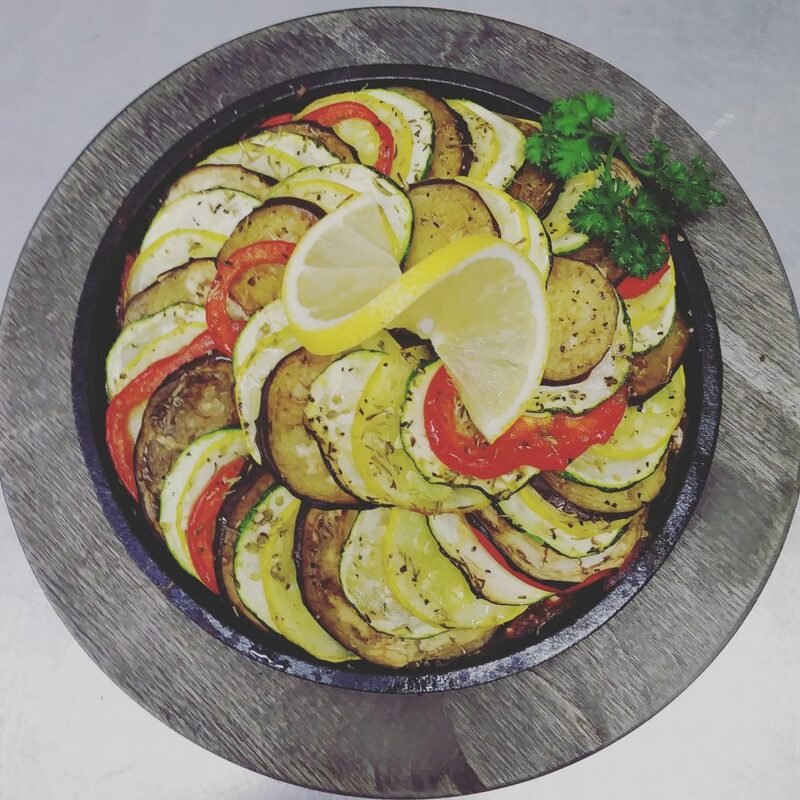 This dish contains zucchini, yellow squash, eggplant, onion and red bell pepper drizzled with olive oil, oregano and thyme. Arranged over a sauce made from tomato paste, fresh garlic, salt, pepper and olive oil. Garnished with a lemon twist and a parsley sprig. It’s made fresh each Saturday.